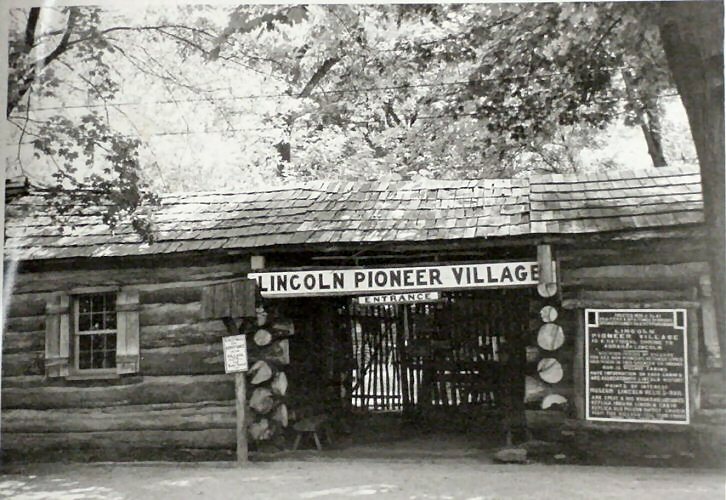 Information gathered from the Spencer County Historical Society about the Lincoln Pioneer Village. 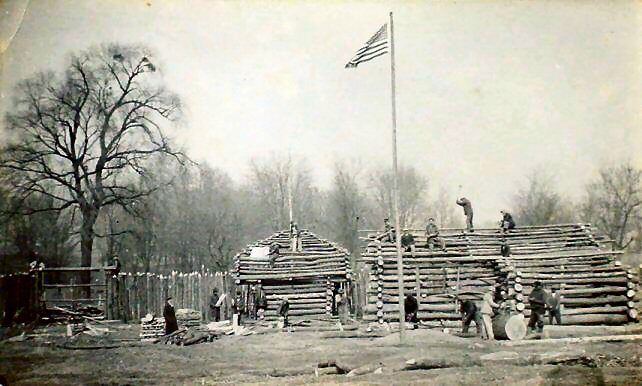 Construction of the Village Is that mistletoe in the tree? 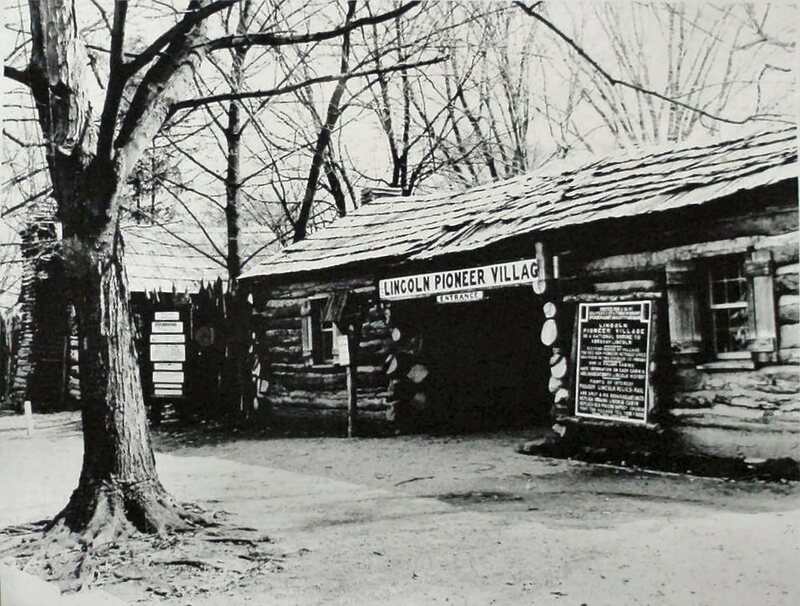 A different Lincoln Pioneer Village Brochure as an image. 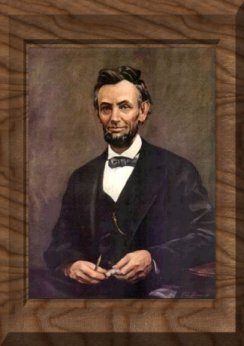 The photo of Abe is missing. 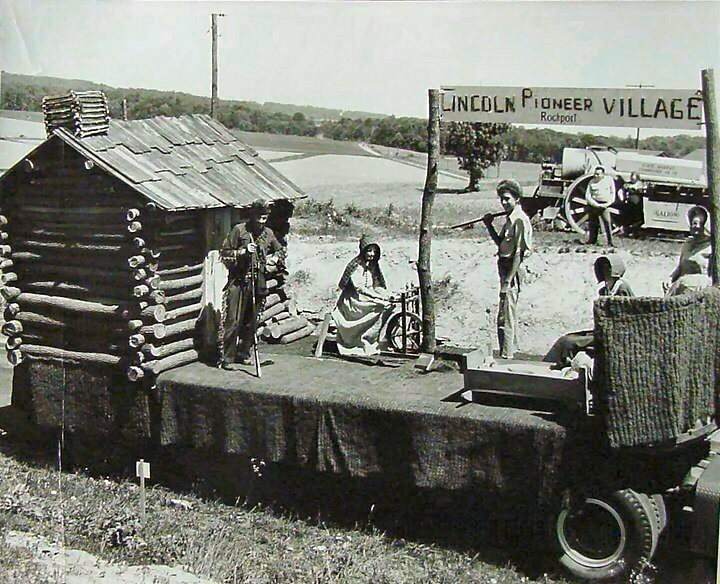 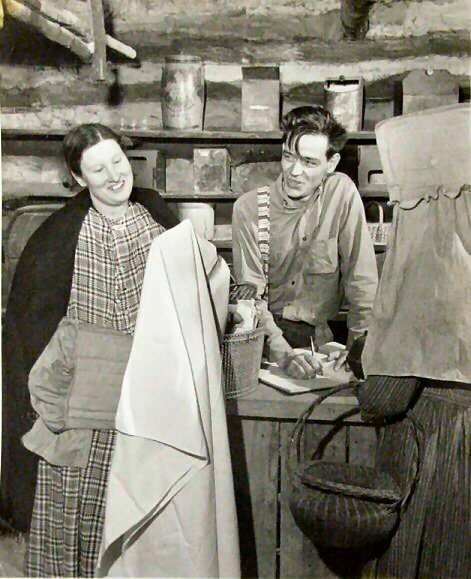 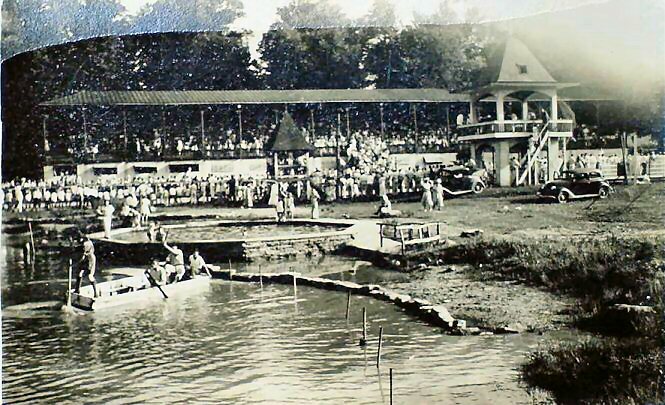 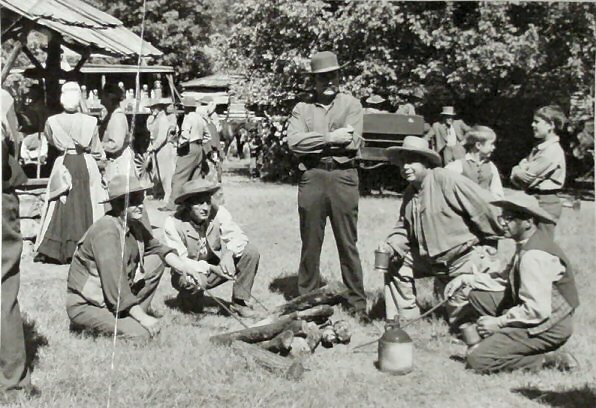 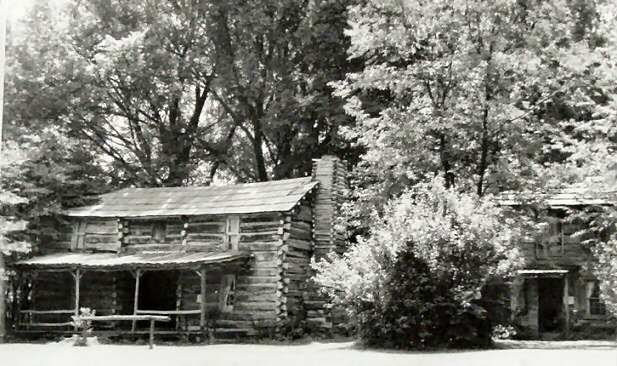 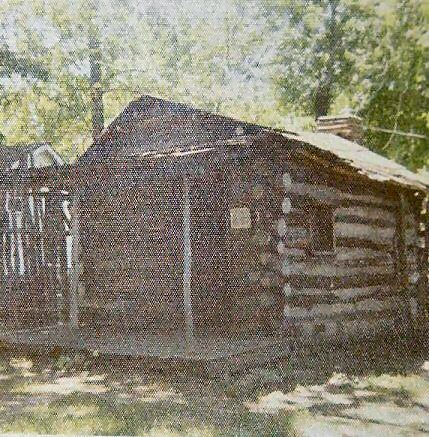 For a complete view and information about the pictures, see The Evansville Courier and Journal article on June 30, 1935 titled--Log Village, With Century-Old Setting, Scene of Unique Lincoln Tribute July 4. 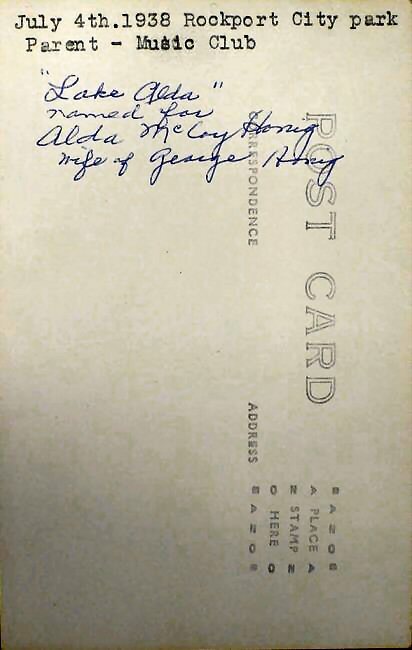 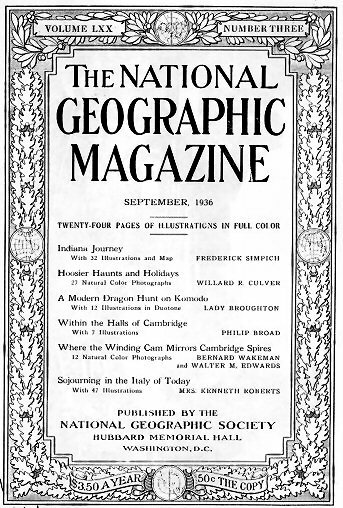 The following is taken from The National Geographic Magazine, September, 1936. 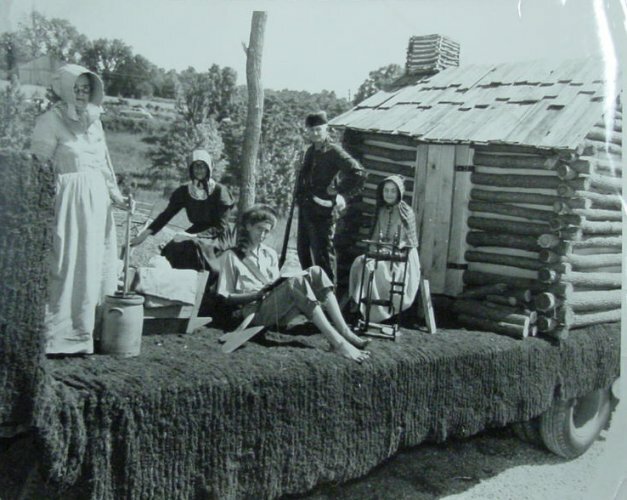 Observe the solid wooden wheels of the oxcart and the mover wagon. 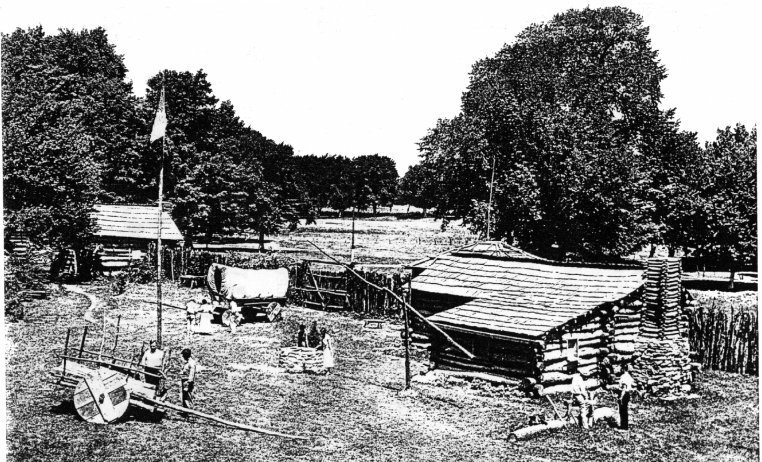 Also there is the stockade, for Indian defense, and the open well with the teetering pole for drawing water. 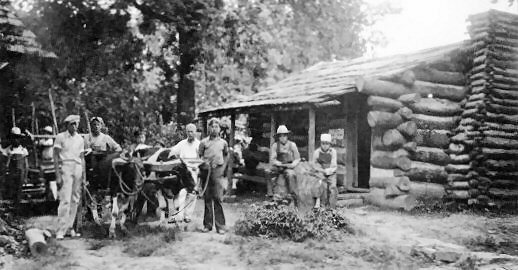 Long huts and a chopping block in the right foreground complete this picture of early-day Hoosier life. 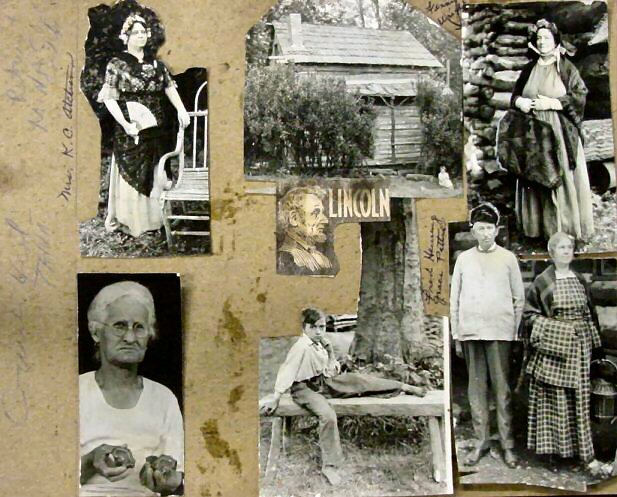 From the age of 7 to 21, Lincoln lived in such a village in Spencer County. 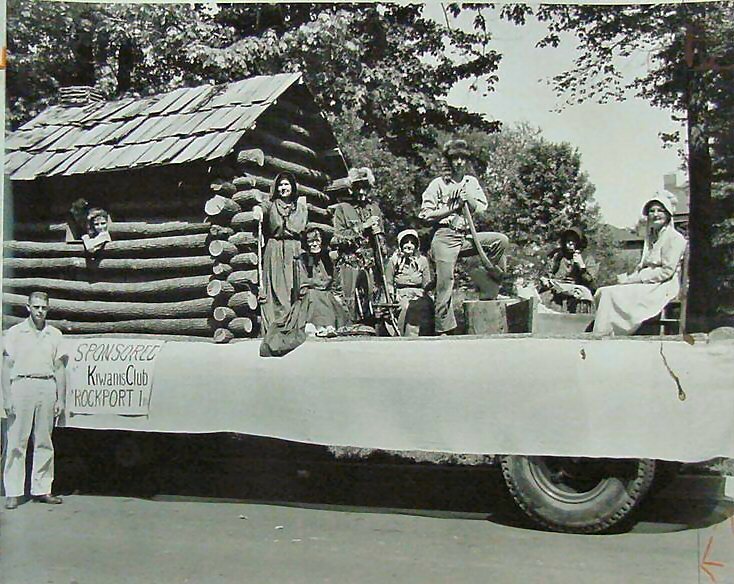 Pictures from the Sesquicentennial Parade, June, 28, 1968.